Debating between the comfort of a chic hotel and the thrill of an authentic accommodation? You will get the best of both worlds with the fabulous vacation apartment. 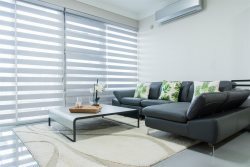 Located in the heart of Kingston city our sophisticated apartment boast all the amenities you would expect from a hotel, including attentive staff, high speed WIFI, Smart TV, hot and cold water, AC and much more. At the same time you can live like a local by taking advantage of the fully equipped kitchen and the privacy of our tucked away secure location, smack dab in the middle of Kingston, Jamaica’s business, commercial and party hub. Bromptons is a centrally located community with a a high-rise apartment block. The grounds, common areas and buildings are excellently maintained. The complex is a gated residential community with 24 hours manned security. This unit comes with central laundry facility, equipped with washer and dryer. Also located on property is a communal infinity pool. This unit is ideal for anyone who is serious about quality amenities and luxury. It’s your five star- hotel for five times less. Your Journeys End with prohomesja at Bromptons! Located on Brompton Avenue in New Kingston, The Bromptons offer stylish, urban living in a secure and comfortable environment. Decked with an infinity pool, elevator, ample parking and a general laundry room.